Mary Pearce is the “Queen” of studio and backing vocals. You may not know Mary’s name but you will certainly have heard her fantastic voice. 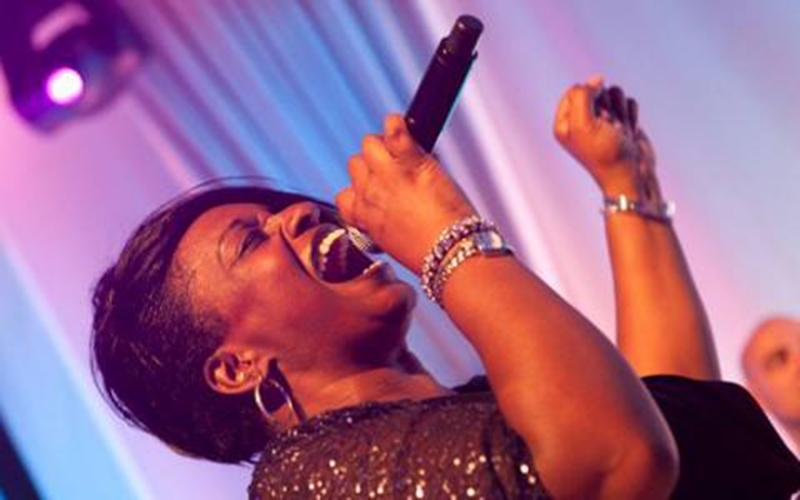 Her powerful, soulful vocals have been heard with the cream of the Jazz, Soul, R&B and Pop world, including the likes of Lionel Ritchie, Chaka Khan, Courtney Pine, Mica Paris, Beverley Knight, Donna Summer, Roy Ayres…the list goes on. As well as more than 20 years as a studio singer Mary has also featured as a lead vocalist with a number of “Groove” and Dance bands, most notably the band “Up Yer Ronson” (who thought of that name?!). The 2004 release of “Young Hearts” with Kujay Dada once again brought Mary to the forefront of the Dance Music industry, culminating in her show stopping performance at the 2004 House Music Awards. More recently she has been touring with pop icon Boy George as an integral part of his (excellent) band. After many years of making other singers sound good Mary has in more recent times decided to step back in to the limelight herself, much to the delight of those of us who have known and admired her work for so long. Unsurprisingly Mary's band this evening is full of some of the best "Groove" players on the scene, including Lex Cameron (Omar, Leon Ware)-keyboard, Dave Ital (Tom Jones, Nile Rodgers, Beyoncé)-guitar, Yolanda Charles (Robbie Williams, Eric Clapton, Van Morrison)-bass, Westley Joseph (Courtney Pine)-drums and Daniel Thomas (Luther Vandross, Mariah Carey)-vocals. Fabulous gig from a fabulous singer.